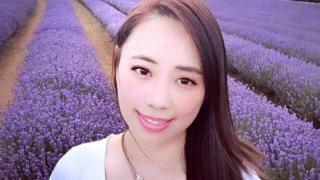 An Australian man has been sentenced to the maximum sentence of 46 years for torturing and killing his 25-year old Chinese niece. Derek Barrett was found to have stabbed Mengmei Leng to death after binding her and taking naked photos of her. The judge described the crime as a "depraved and sadistic act" by a man the victim trusted. The 29-year old admitted murder but said he had been under the influence of drugs with no clear memory of the act. The court heard he bound and gagged his niece in April 2016 to take naked pictures of her. The judge said the crime was of "extreme violence and brutality, humiliating and terrifying", Australian broadcaster ABC reported. She said Barrett had been motivated by a "perverted sexual obsession with the victim". After killing her with multiple stab wounds, he then dumped the body in the water at Snapper Point on the New South Wales coast on 24 April last year. where it was later discovered. Ms Leng had been living with her aunt and Barrett in Sydney as a university student.